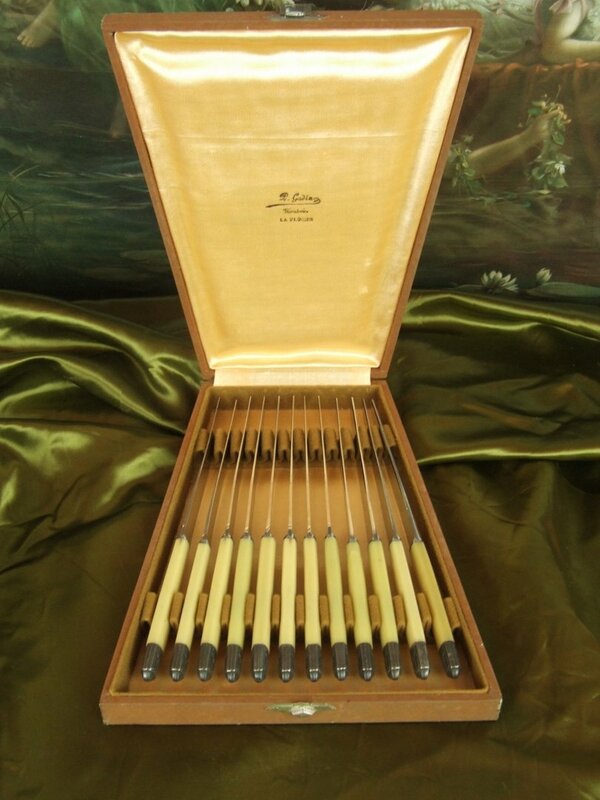 This is a superb antique French boxed set of 12 Art Deco tea knives dating from about 1930. 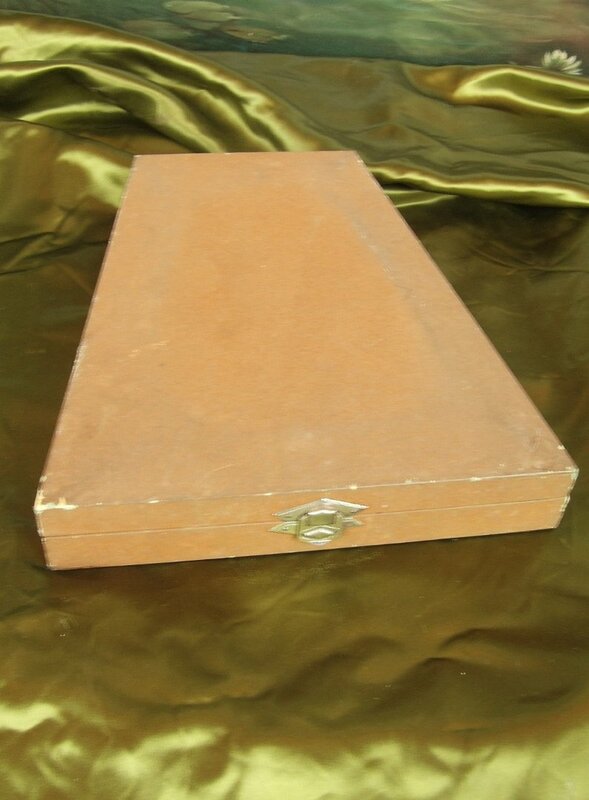 They would make a very stylish addition to a well laid table. 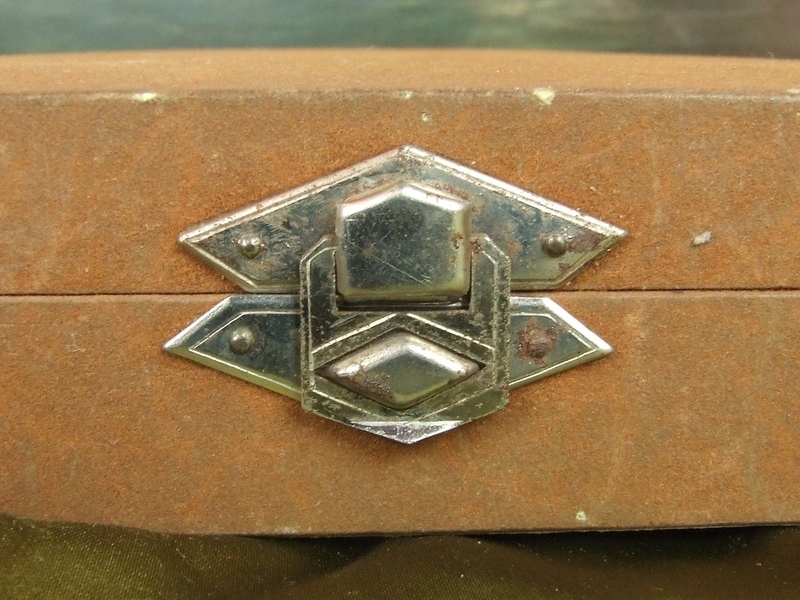 They are presented in their original hinged box which is of wonderful Art Deco shape. 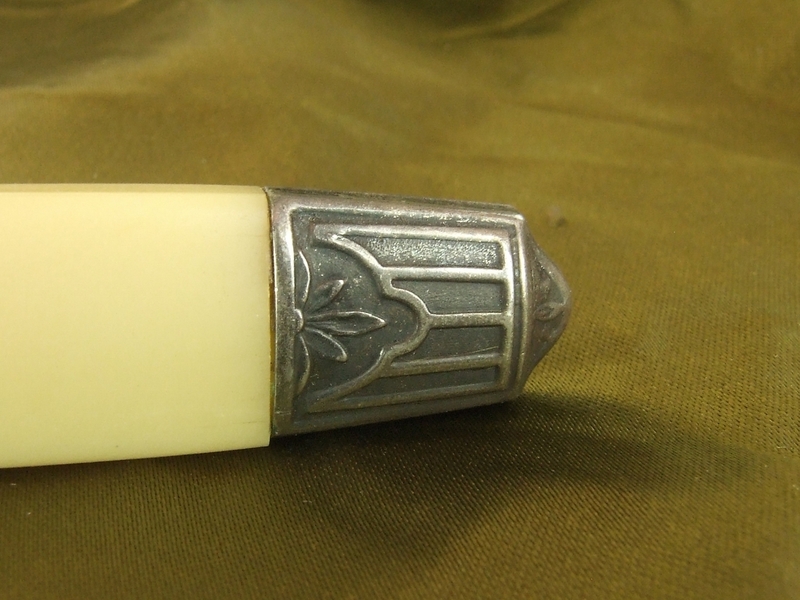 It is lined with gold coloured satin printed with the sellers name and location 'P. 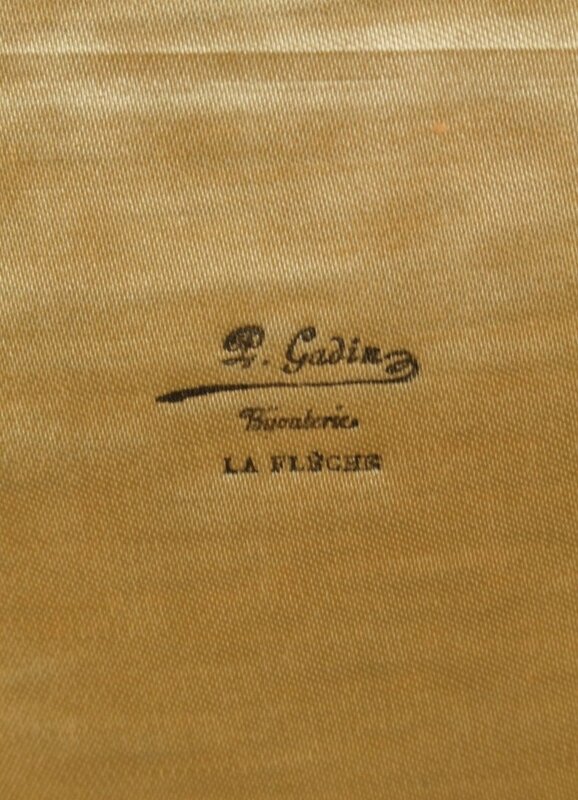 Gadin - Bijouterie - LA FLÈCHE'. 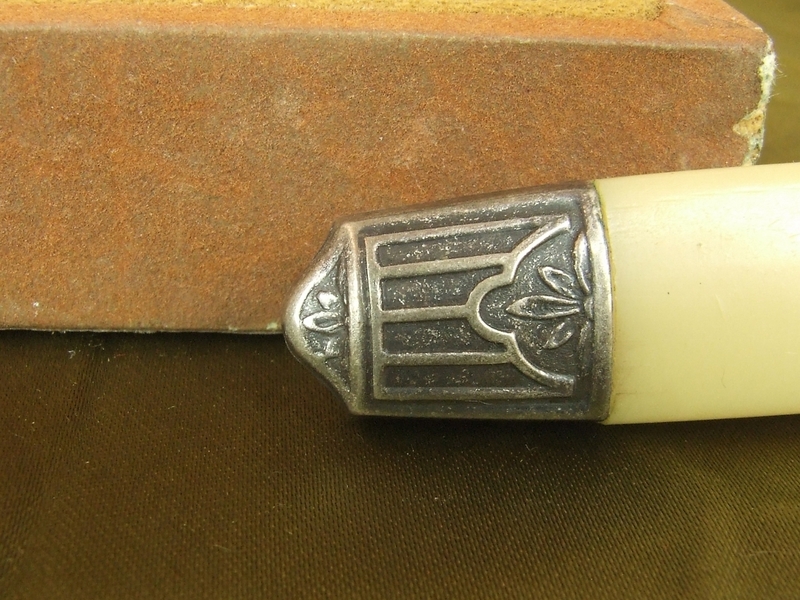 It secures with an attractive clasp also of Art Deco design. 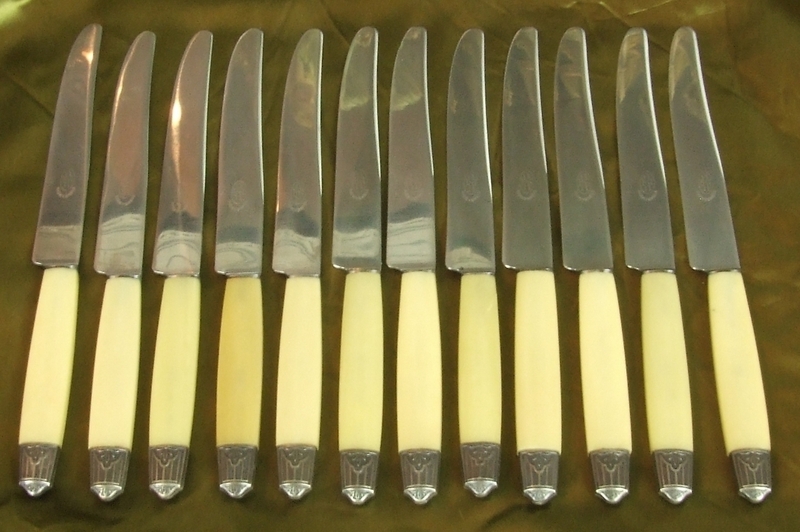 The knives have bakelite handles at the end of which are Art Deco design caps. 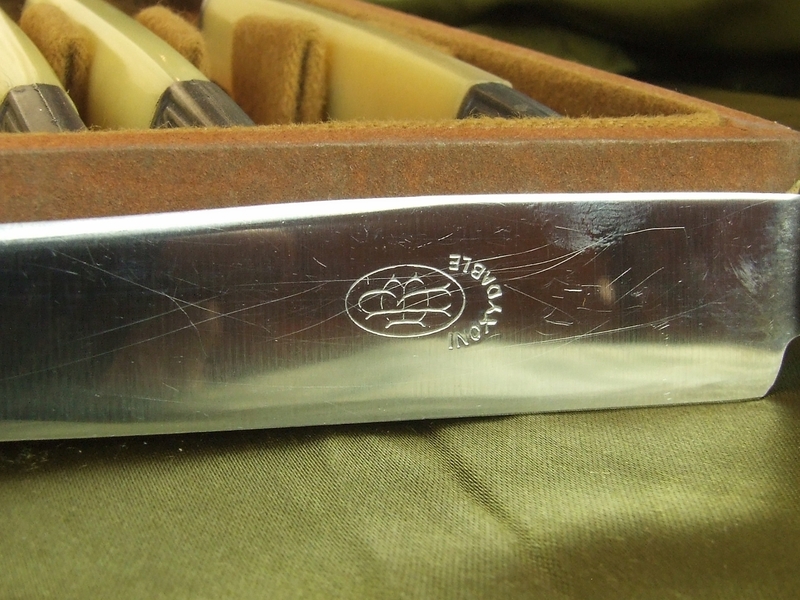 The blades are embossed with the maker's logo which appears to be the letters R and B entwined. 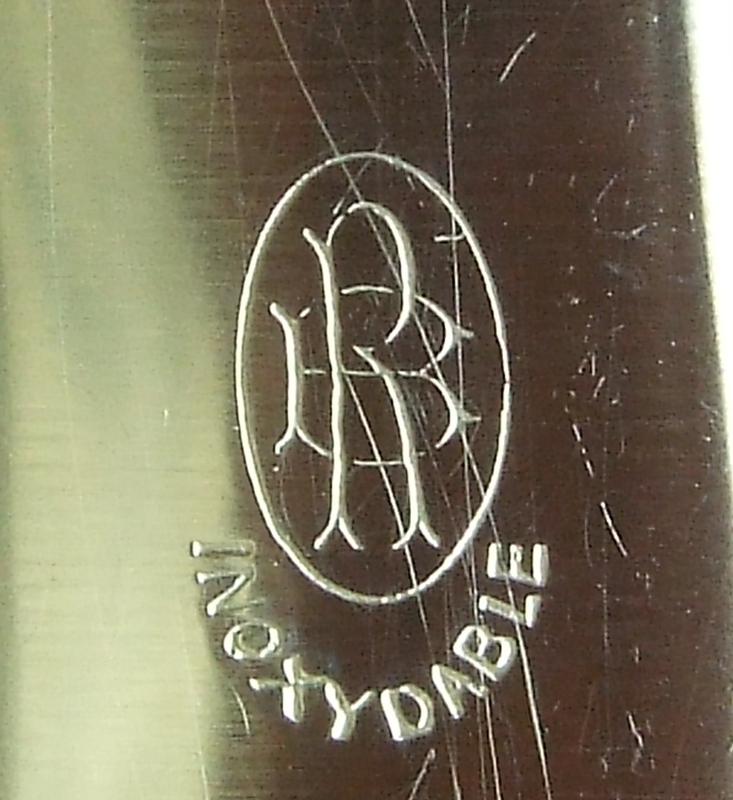 They also have the word 'Inoxydable' - stainless steel. 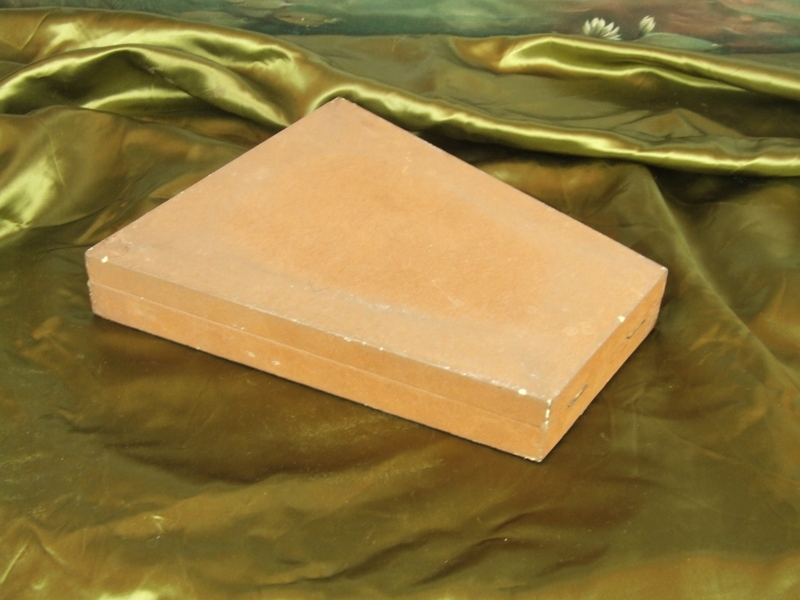 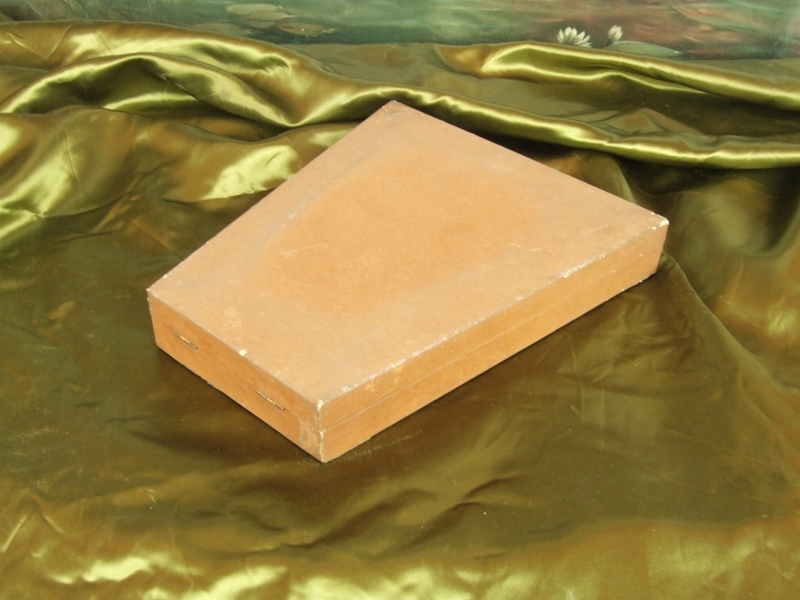 The box measures 21.5 cm (8.5 inches) deep x 19 cm (7.5 inches) wide x 3.5 cm (1.3 inches) high. 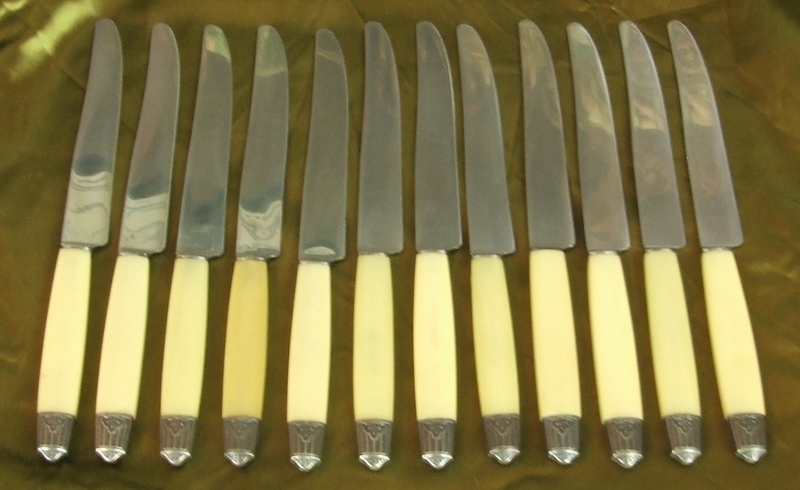 Each knife is 19 cm (7.5 inches) long. 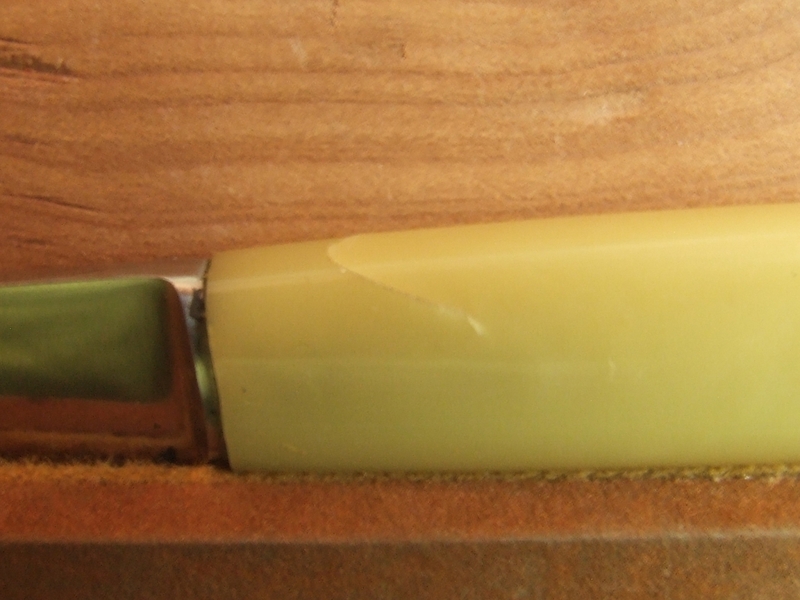 One of the knives has a small crack in the bakelite but is still useable. 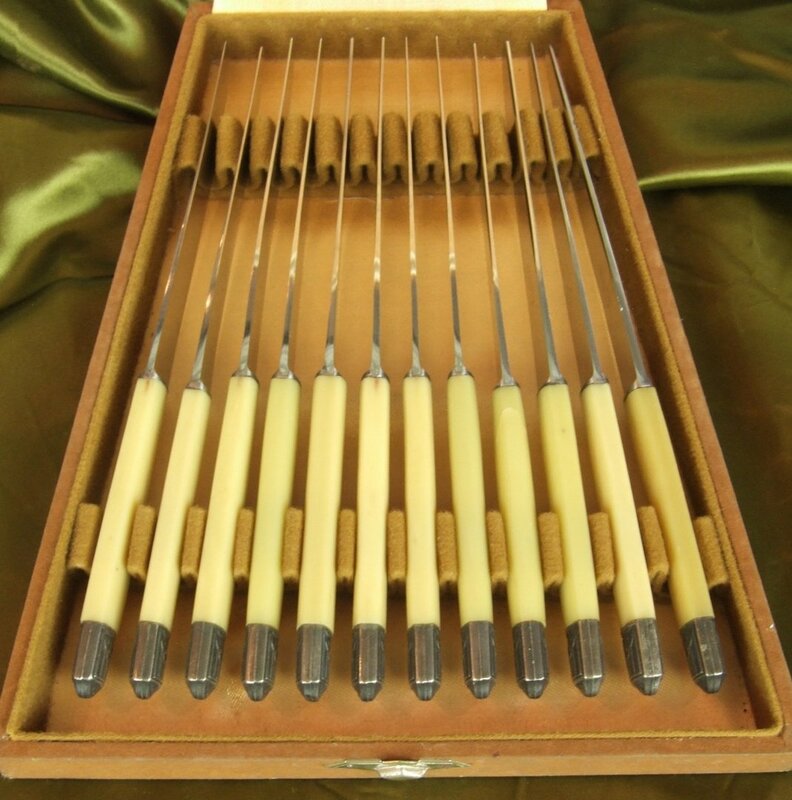 This is a lovely set of knives to use and enjoy or to add to an Art Deco collection. 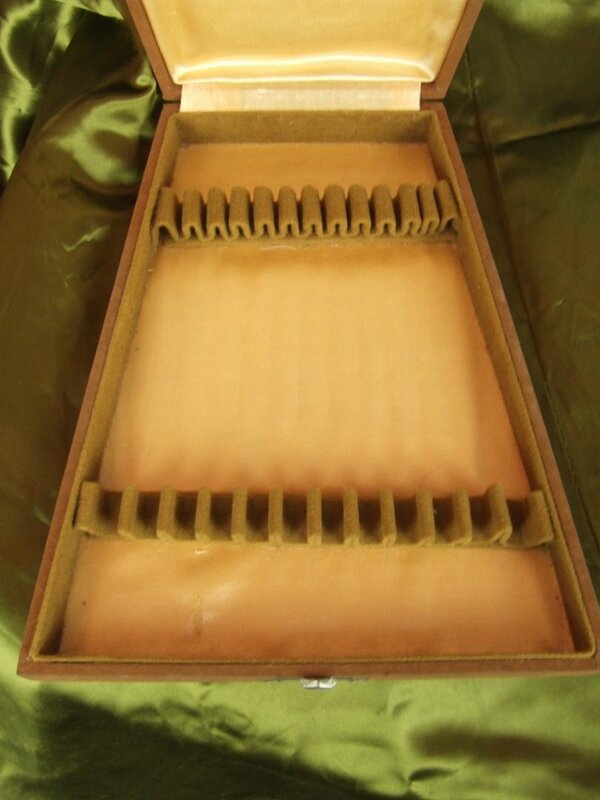 They can be seen in our shop in Frome, Somerset.